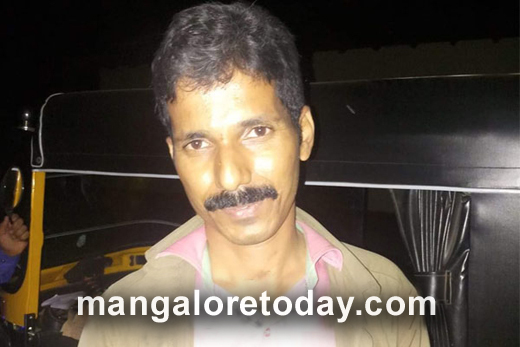 Udupi, Feb 08, 2019 : It is true when people say that “Honesty is the best policy”. An autor driver from Udyavar returned a handbag with cash and valuables to the woman on February 07, Thursday. As to the reports Anusha Shetty of Kiradi along with her child had been home in an auto rickshaw had lost her handbag with Rs 4,000 cash, an iphone and ornaments worth Rs 50, 000. She later realised that it might have fallen off the auto rickshaw. To her luck Prakash an auto driver who passed in the same path noticed a handbag fallen on the road, he immediately picked the bag. Within no time he recieved a call from Anusha to her iphone he answered the call and agreed to hand over the bag to her. Prakash’s honesty was appreciated by all and we sincerely hope that there are more people like him in the world.